I’d been to Cincinnati before, but not in 30 years or so. The city was effectively all new to me. Garrett and I stayed downtown, a few blocks, it turned out, from Fountain Square and this fountain made better known thanks to the opening sequence of the great sitcom WKRP in Cincinnati. single frame: Baby, did you ever wonder? 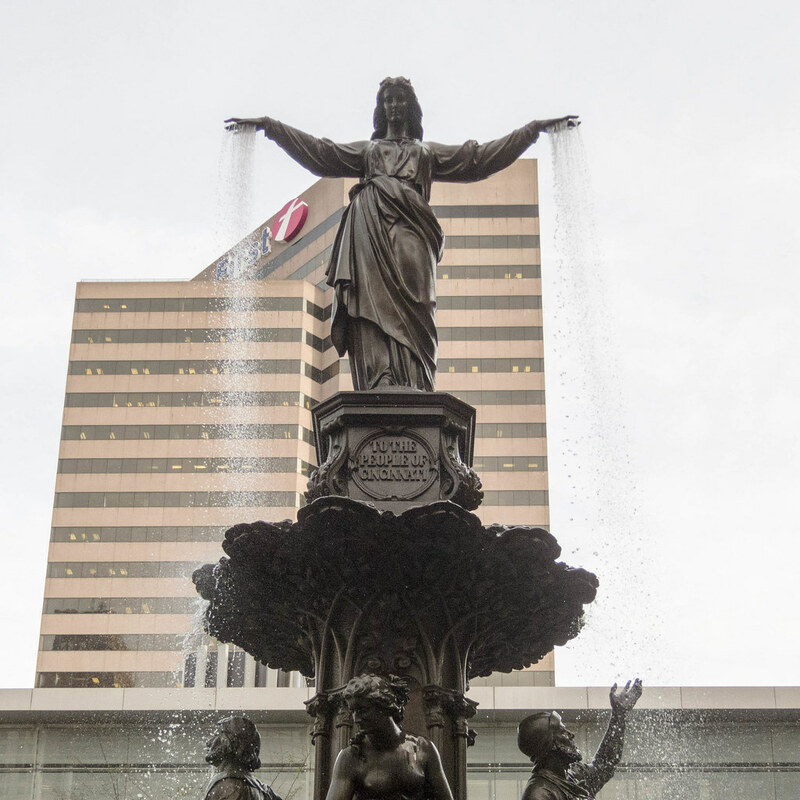 Photo: Detail of the fountain made sort of famous in the opening sequence of the sitcom WKRP in Cincinnati. Nice to know we’re in the same club!